Objective: We described the most recent progress in silica-assisted drug delivery and biomedical applications according to different types of Cargo in order to allow researchers to quickly learn about the advance in this field. Methods: Information has been collected from the recently published literature available mainly through Title or Abstract search in SpringerLink and PubMed database. Special emphasis is on the literature available during 2008-2017. 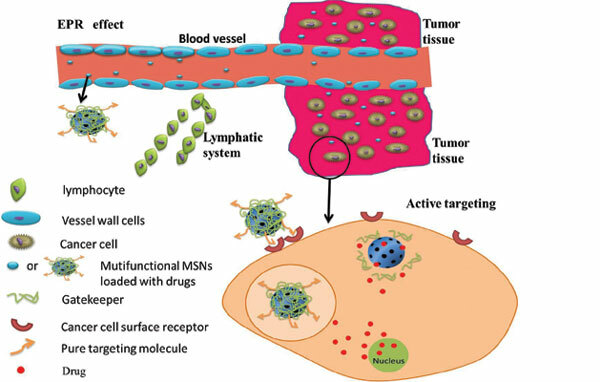 Results: In this review, the major research advances of MSNs on the drug delivery and biomedical applications were summarized. The significant advantages of MSNs have also been listed. It was found that the several significant challenges need to be addressed and investigated to further advance the applications of these structurally defined nanomaterials. Conclusion: Through approaching this review, the researchers can be aware of many new synthetic methods, smart designs proposed in the recent year and remaining questions of MSNs at present. Keywords: Mesoporous silica nanoparticles, manufacture technology, drug delivery, biomedical applications, anti-cancer and target, preclinical trial. Keywords:Mesoporous silica nanoparticles, manufacture technology, drug delivery, biomedical applications, anti-cancer and target, preclinical trial. Abstract:Background: With the development of nanotechnology, nanocarrier has widely been applied in such fields as drug delivery, diagnostic and medical imaging and engineering in recent years. Among all of the available nanocarriers, mesoporous silica nanoparticles (MSNs) have become a hot issue because of their unique properties, such as large surface area and voidage, tunable drug loading capacity and release kinetics, good biosafety and easily modified surface.